I spent the morning in the back yard with Summer working in the garden and eating some of the vegetables from the garden as we worked. She LOVES the snap peas. 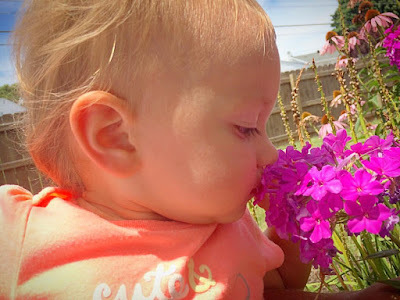 Then we wandered over to the flowers and she didn't understand smelling them at first, but she finally got it. High pressure building across the Great Lakes bringing more sunshine and a break from the muggy air and storms. We still stay warm and partly cloudy for Tuesday and Wednesday. 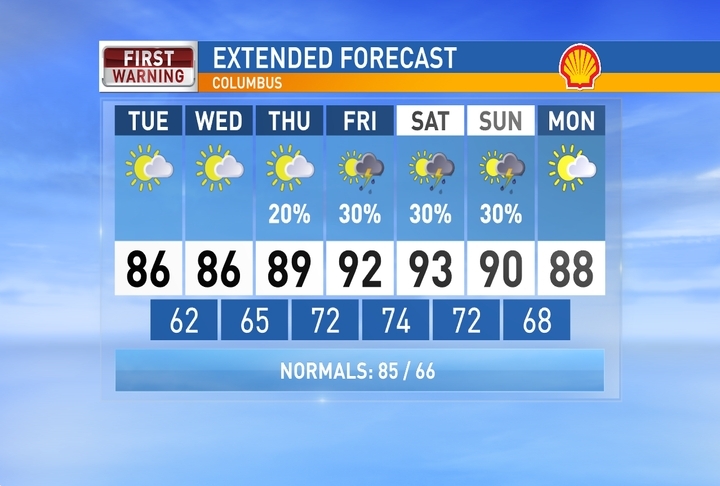 We heat up later this weekend and weekend with pop-up showers and storms possible. 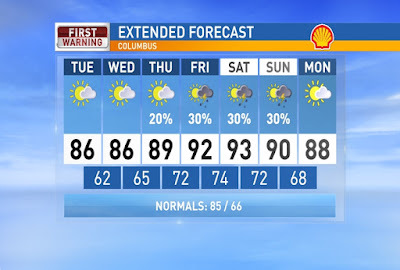 Very muggy and hot air by Friday and Saturday with highs back in the low-mid 90s. Have a good one! Finally some rain for my garden... more coming??? A Summer trip to the zoo before it gets hot!